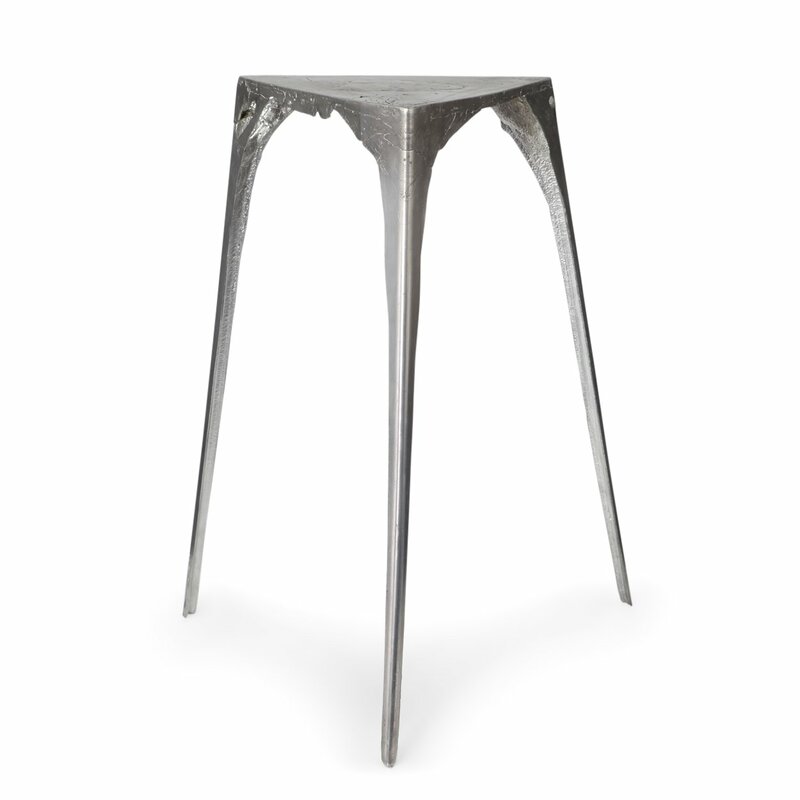 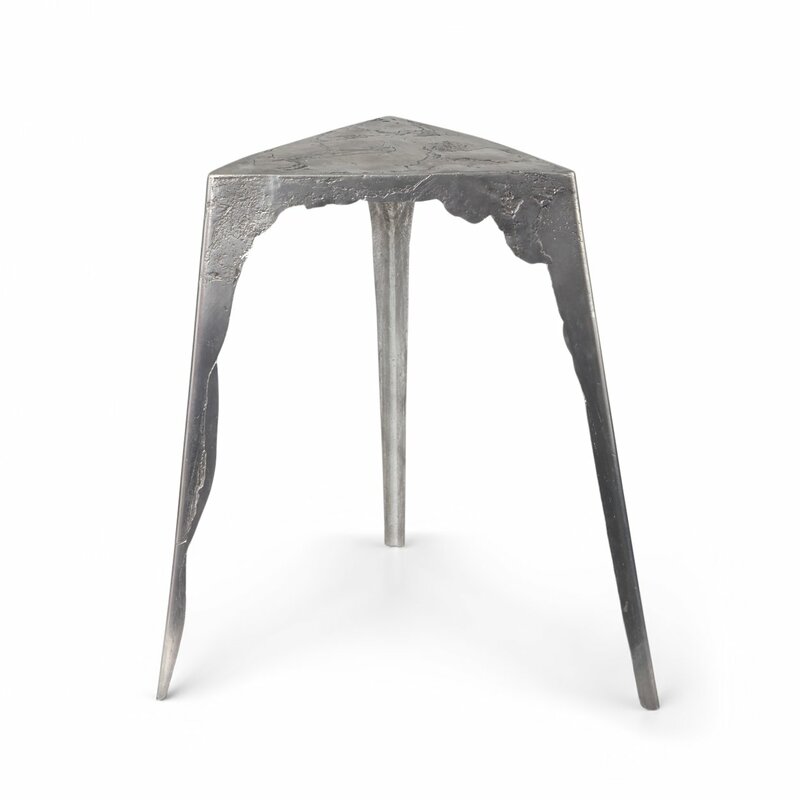 The rough surface of the Pewter Side Table is created by casting liquid metal in an innovative way. 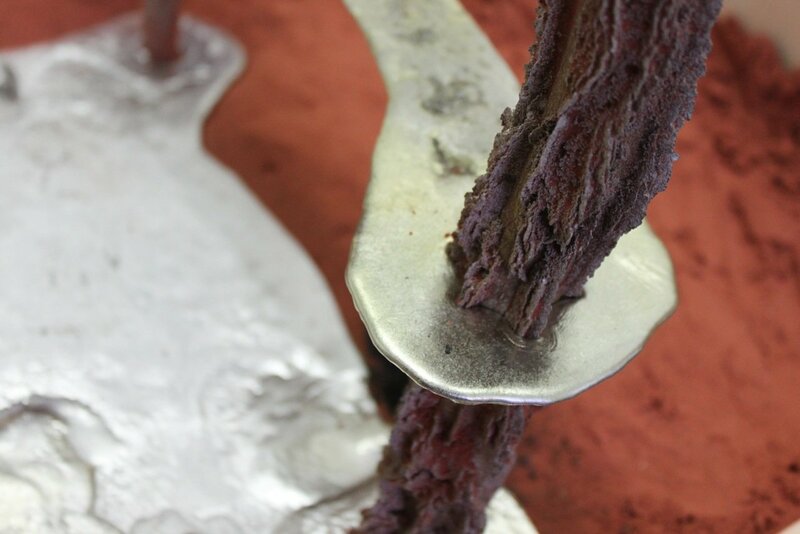 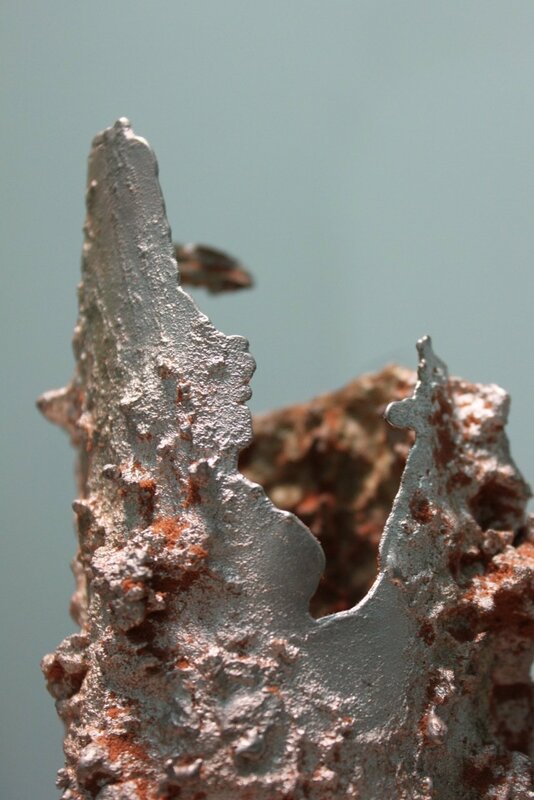 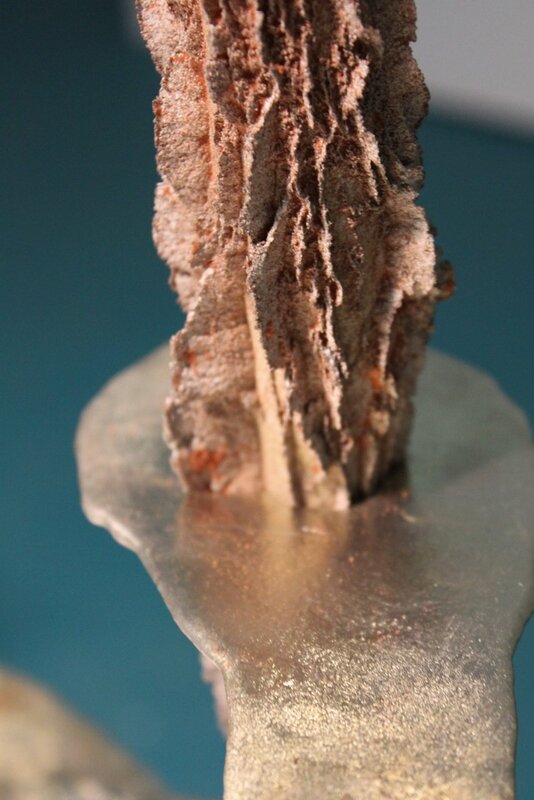 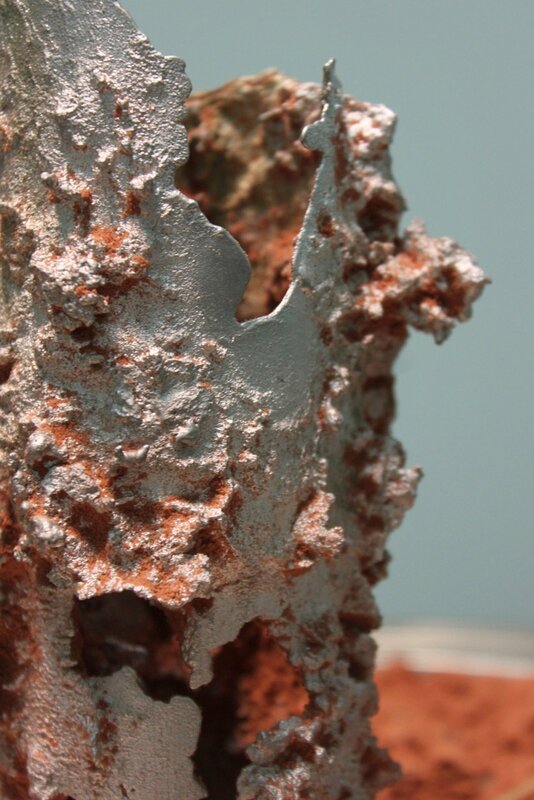 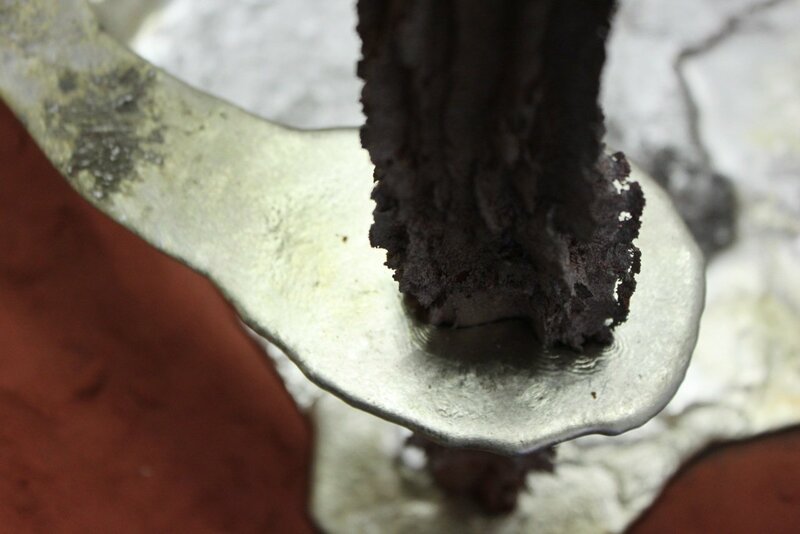 By pouring the molten pewter in three stages, the hot fluid reacts to the much colder metal and the pewter collides together. 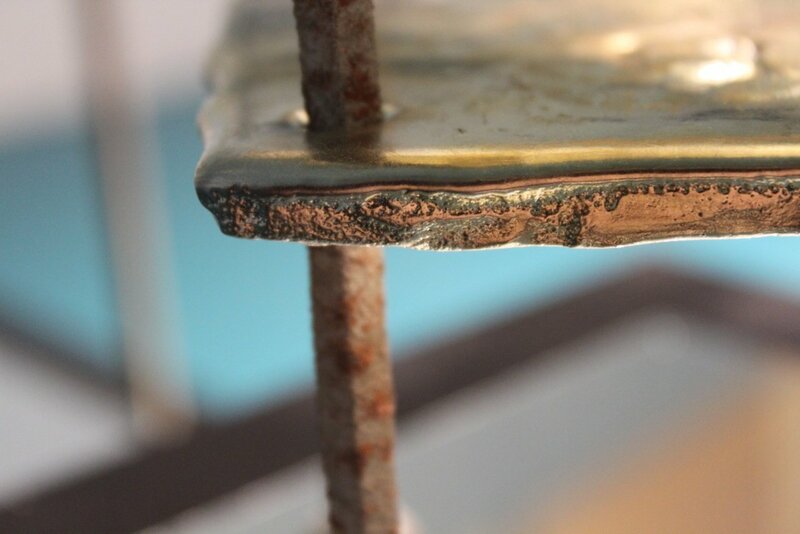 The end result is then polished and finished. 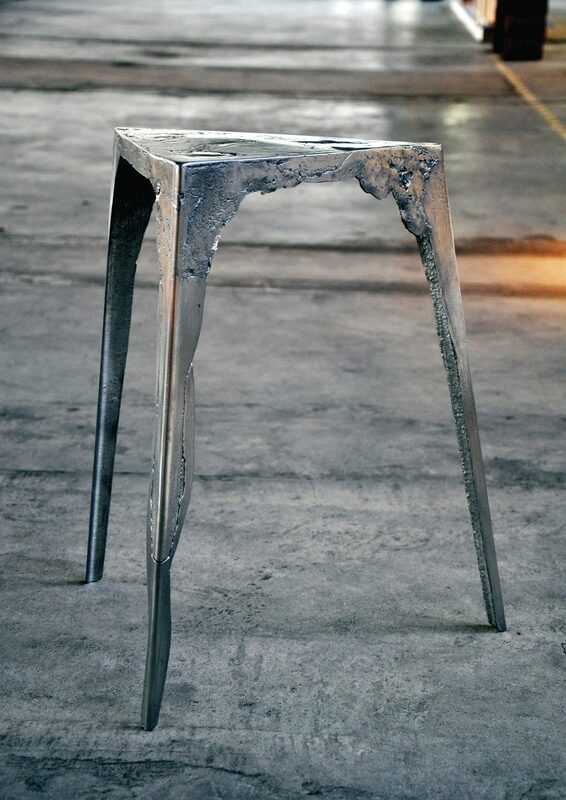 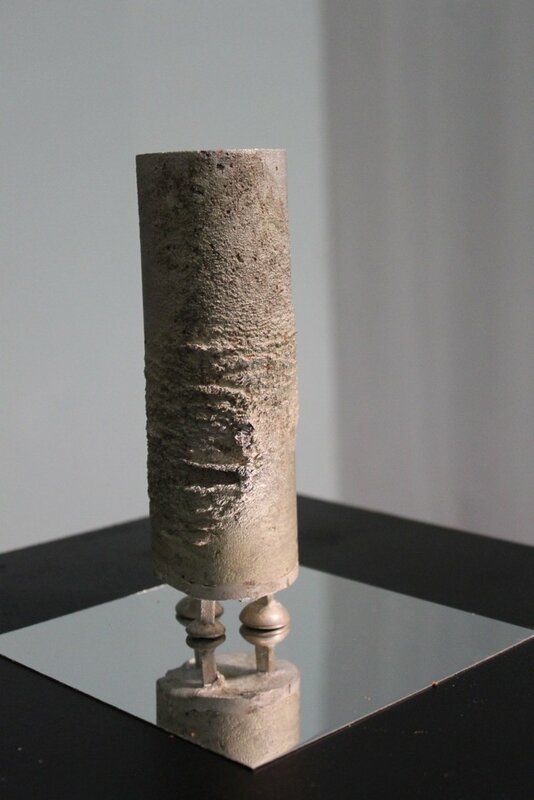 The Pewter Side Table has been made using this method, which the designer hopes will incite curiosity surrounding the solid object on slender legs with a swirling surface.